Included with Origin Access Basic. Deluxe Edition also available. External cams are Vert-. See the WSGF topic. Occasional bug where the game will change to windowed mode but not actually display on the screen, although sound can be heard from the game. If this happens, simply close the game and re-launch it. It will launch into windowed mode. Can be worked around using the "Windowed Borderless Gaming" Application. On by default under "Post Processing" graphical setting in game. Anisotropic setting is enhanced or reduced based on the setting selected for Post Processing. Game allows steering response adjustment for all vehicle classes. 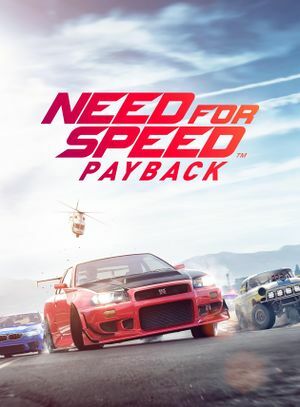 See Helix Mod: Need For Speed Payback (DX11). Camera manipulation tool for taking screenshots. 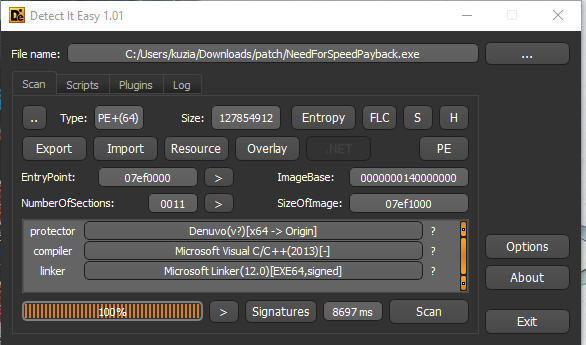 ↑ "Scan exe Need for Speed: Payback". Scan of NFS Payback exe file.